Hi there! I hope you had a very merry Christmas! There you have it... I hope you've enjoyed! All will be available on December 27th... that's just around the corner! I'll be back just after that with the full reveal. Ribbons & Bows and Think Big Favorites #23... To allow for it to stand out, I stamped the "LOVE" circles in black ink onto rustic white cardstock. 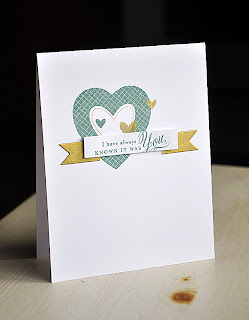 Using a light ink, such as sweet blush, I stamped the ribbon image to make it appear as if it was behind the sentiment. 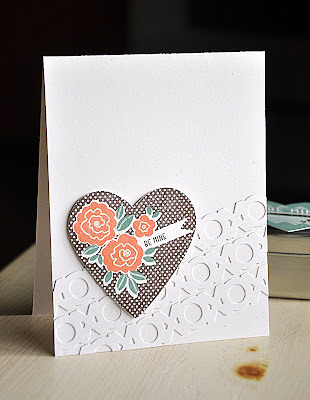 Then for a pop of color, I stamped the tiny heart in pure poppy, cut it out and popped it up with a bit of dimensional adhesive. Finished the card off with a strip of American Crafts pattern paper. Quilled Elegance and Sending My Love... 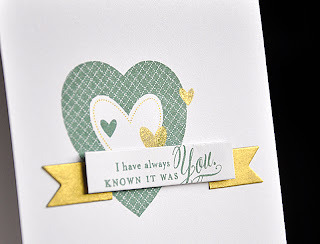 Starting from the bottom right corner and moving up the card (creating a look of movement) I stamped the large Quilled Elegance image in a color combo of limeade ice, Hero Arts wet cement and Archival viridian. Then finished the card off with a sentiment that pops, with the help of some dimensional adhesive of course. Love Potion... For a bold focal point, I grouped a few of the beakers together. Carefully overlapping each one as I stamped. 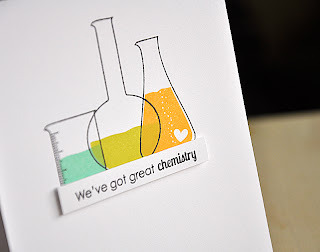 The overlapping allows the love potion filled beakers to sort of blend together, once stamped in Arichival viridian, limeade ice and summer sunrise. 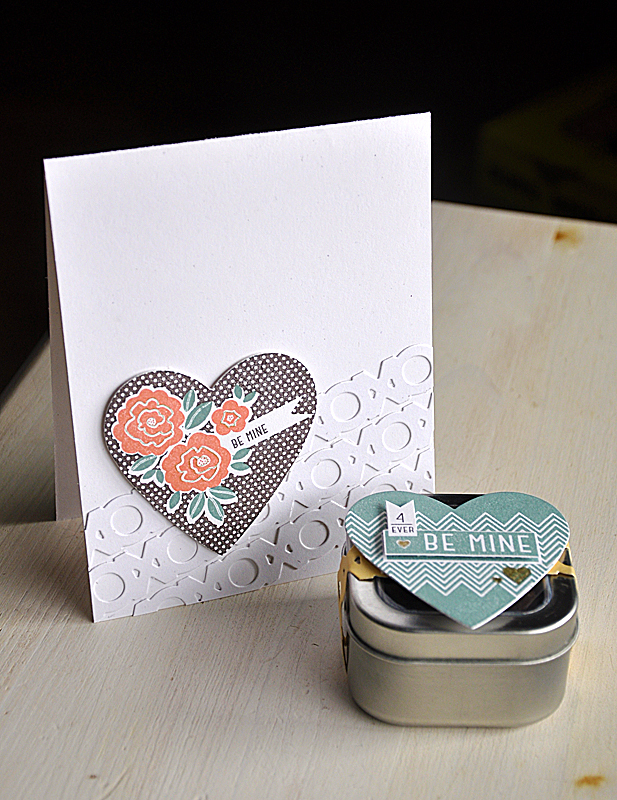 Finished the card off with a little sentiment strip for the three to sit on. Framed Out #11 and Sending My Love... And I leave you with my last touch of gold (for the countdown that is). My plan was to mount the sentiment banner directly into the center of the card. 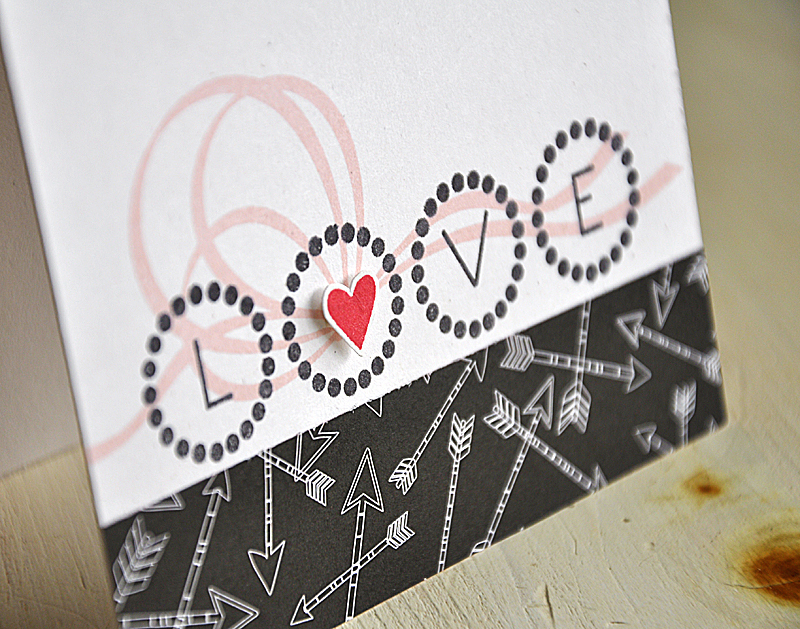 So with this in mind, I was careful to stamp the heart grouping slightly off center. To give the focal point a bit of an unexpected look. Get what I mean? I die cut a banner from white cardstock, trimmed off the ends and stamped the center portion with the sentiment. Then I took the end pieces, pressed them into the gold ink pad and assembled the banner. Welcome to the final day of the Papertrey Ink December Countdown and the second design team group post day. This time around our focus is on love and the new set With All My Heart. 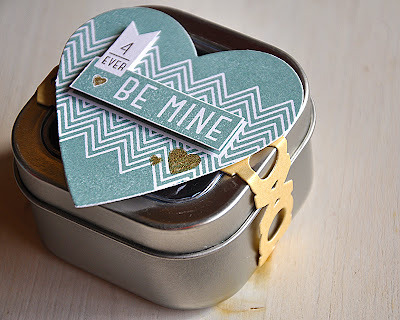 Check out Nichole Heady's blog for more info. It doesn't get any easier than creating a project for a special someone with a set that you love working with. I just adore this entire set and wish that I had time to work with every images. But alas... 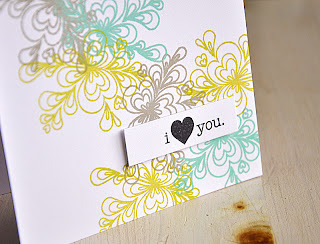 I've narrowed it down to a couple of my favorite images to create two projects for today. One more masculine and the other fancy and feminine. Here's a shot of the lovely duo. First up, the masculine theme. 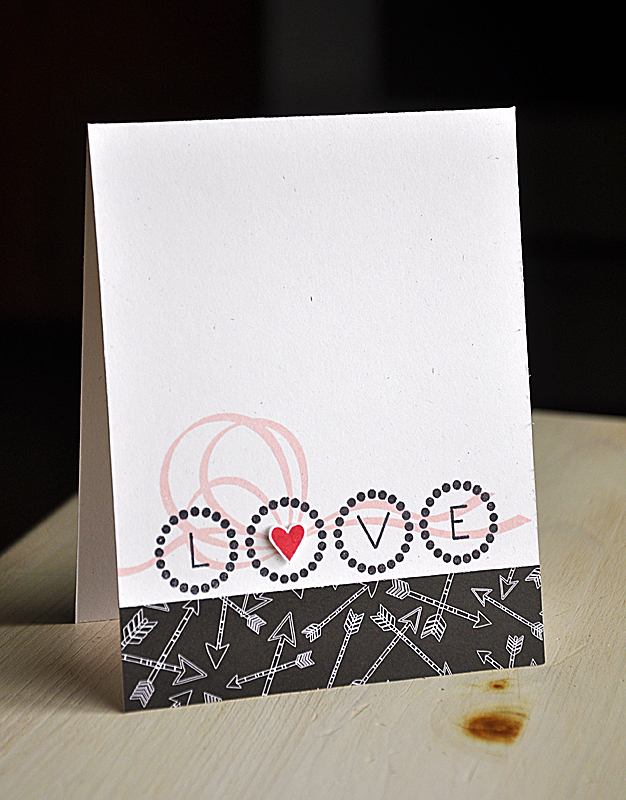 The chevron heart is a very classic and clean design, perfect for those projects made for the man in your life. Not sure if most men would dig the gold details. But, heck! I have to incorporate a little me in there somehow! He will understand. Onto the feminine card. 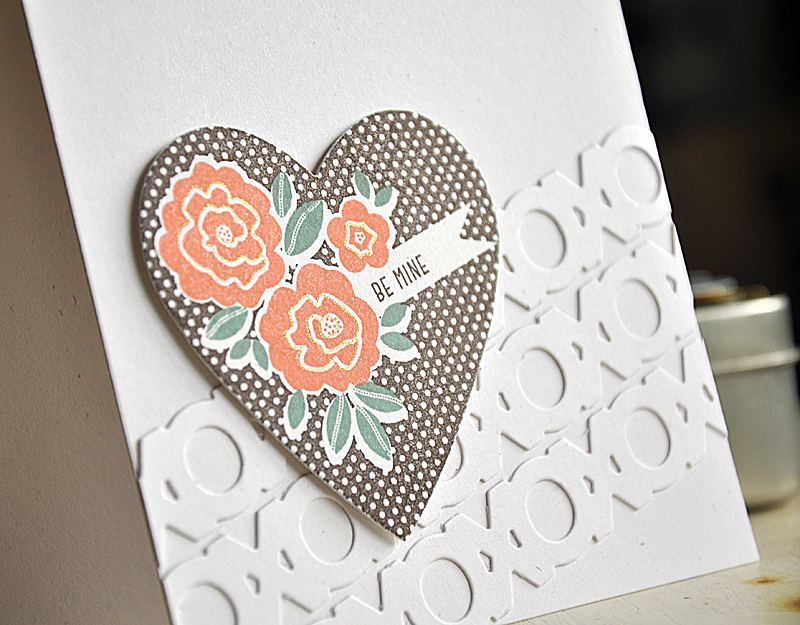 I just love the floral heart image so much that I couldn't help but pull it out for this simple number. I stamped the heart in smokey shadow, flowers in melon berry and leaves in ocean tides. Stamped the tiny detail image in gold, if you click on the photo and look hard you might be able to see the shine in the enlarged photo. Placed the heart atop a few die cut XoXo borders. Well, there you have it. 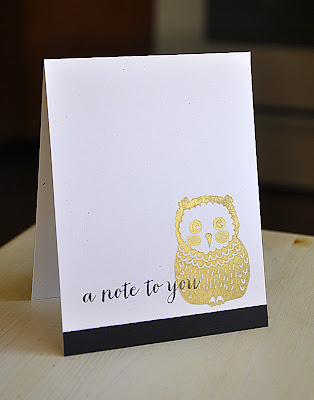 I hope you've enjoyed! 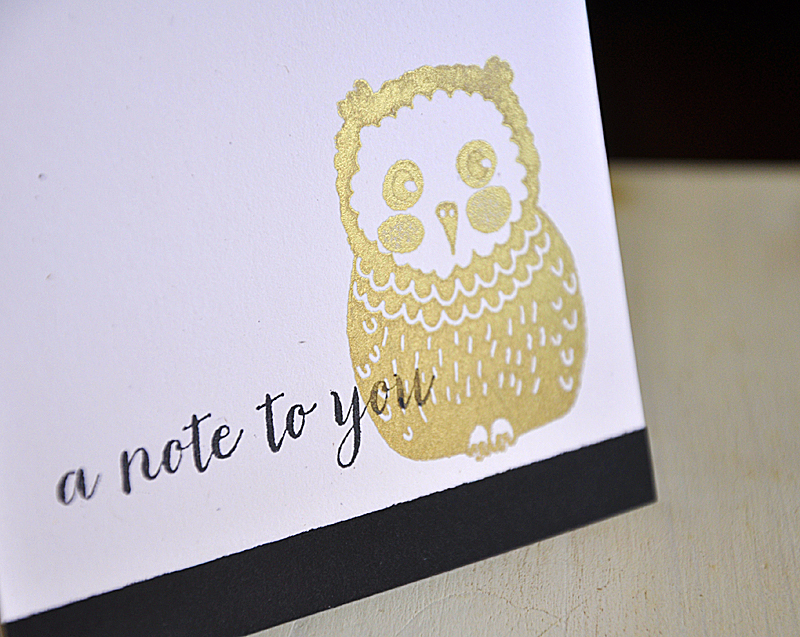 Just remember that all the new items used today will be available for purchase beginning December 15, at Papertrey Ink. 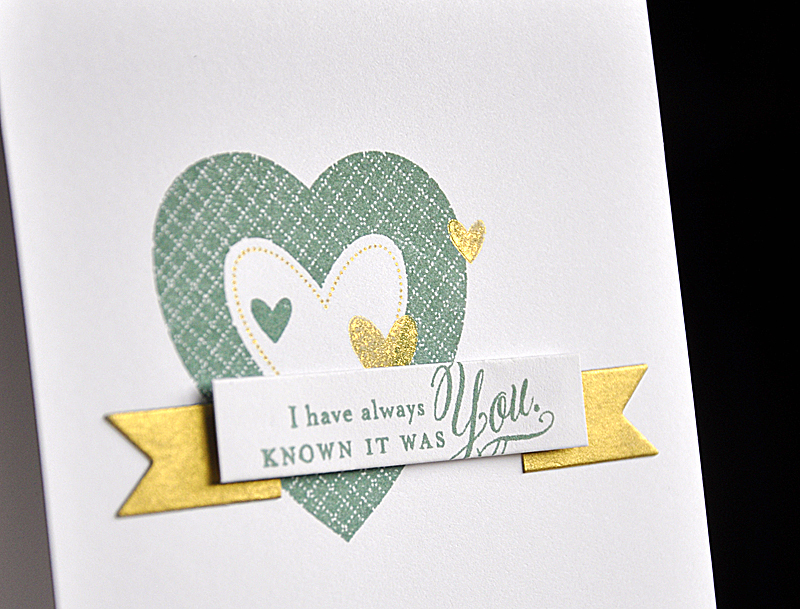 Also note, I'll be sharing a bit more of Quilled Elegance and Ribbons & Bows tomorrow.